This is a space that you will love! It is bright, functional and laid out for your convenience and enjoyment. 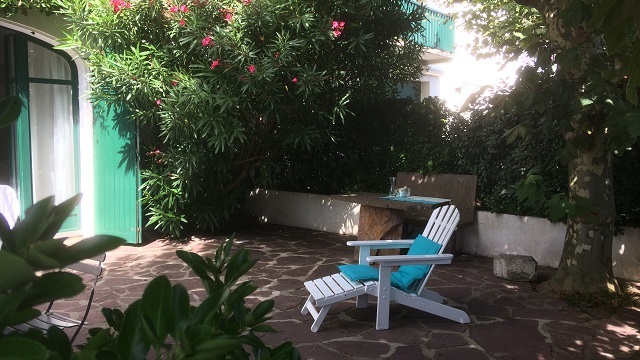 It is full of charm with a terrace beautifully planted including two century old trees. 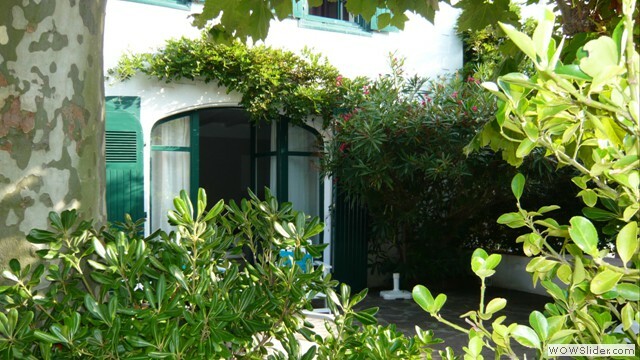 This lovely apartment is just a stone’s throw from the beaches of Guéthary and its tiny picturesque port. The apartment is ideal for couples, but there is a retractable Queen size bed built into the wall offering additional sleeping space. 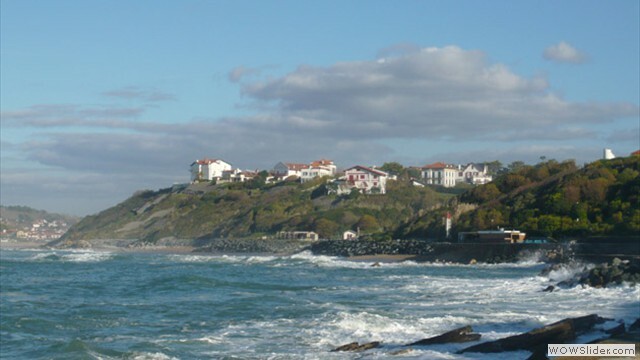 Guéthary is one of the most beautiful villages along the Basque coastline. 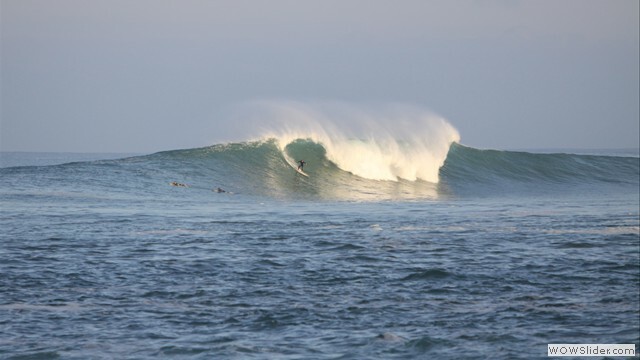 It is a very popular spot with surfers. The Pyrenean mountains rise from the sea creating an enticing wild landscape for hikers to explore. Spain with its tapas delights is just a 20 min. drive. Enjoy eating alfresco on your private terrace under the shade of the trees. At lunch you may even have an excellent grilled fish delivered directly to you for your dining pleasure seated at your table made from local stone taken from the Rhune Mountain. I have a passion for houses and beautiful spaces. 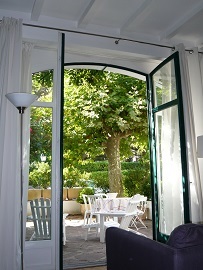 I enjoy sharing my way of life in a Bed and Breakfast in the Pyrenees where I also offer Gourmet food to my guests. It is the realization of the mountains and the sea that I have always dreamed of, come true. Need some mountain escape after your holiday on the coast? I welcome you in Pyrenees!